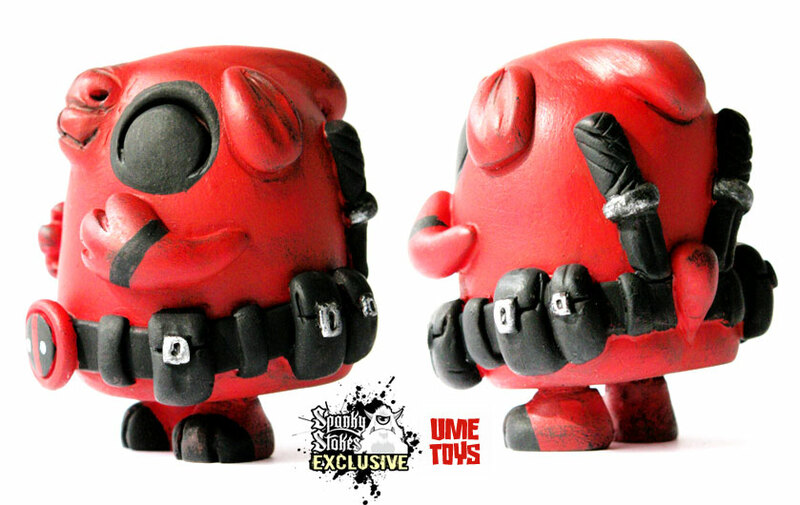 Rich over at UME Toys created a special "Deadpool" themed resin 'Bagel' figure! 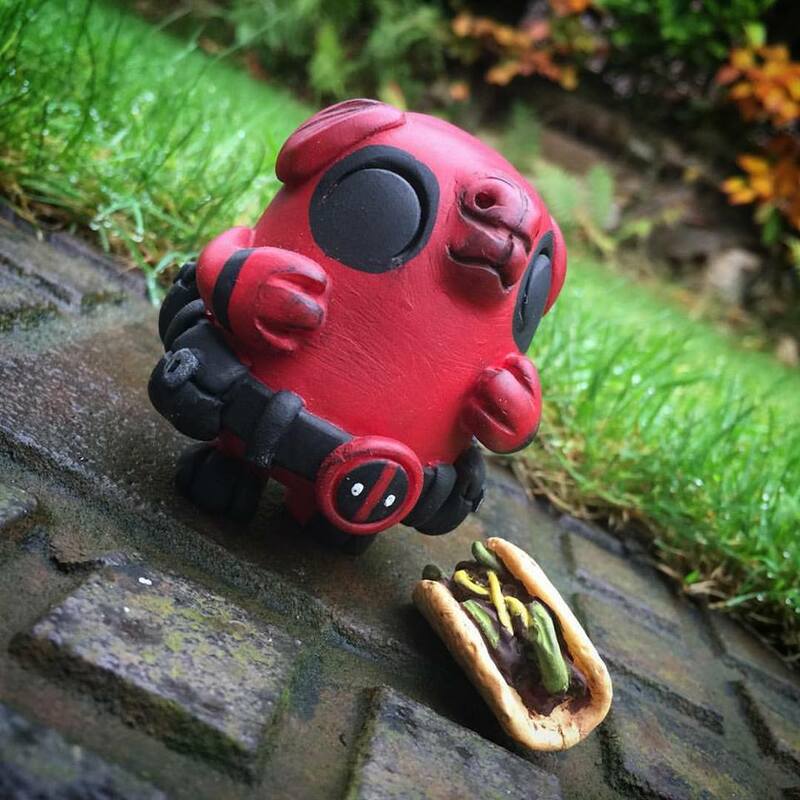 Exclusive to SpankyStokes online store, there will be 10 of these rad 4" tall hand cast and painted figures from Rich... and they all come with a Taco... delicious! They will retail for just $40+s/h and come bagged with a nice custom header card! Super cute, and super deadly... don't miss out!! !